The irrepressible Harry Gray and his colleague Jay Labinger have an editorial in Science. The editorial asks some of the questions that we here and others have asked about chemistry; does chemistry have any "big questions" akin to physics and biology that would make it attractive to the public? The editorial is a little short on detail but the authors rightly propose that there are indeed a few big questions in chemistry but they are not as easily visible and sometimes seem to be couched in the veil of biology and physics. 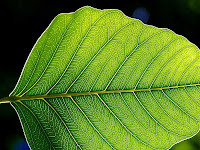 As an example of a "big question", the authors cite the cracking of the photosynthesis puzzle that involves both intimately understanding the process and duplicating it in the laboratory. "We suggest that the noble themes in chemistry are there, but may be a little harder to see. One can look outward to the universe, or inward to the mind, and recognize the complexity and profundity of the questions to be answered. The problems that contemporary chemistry tackles are just as fundamental, but may not be as immediately obvious to the non-chemist. We could illustrate this claim in many ways, but perhaps one has received the broadest sustained attention: photosynthesis. How can light be harvested and converted to electrochemical energy that is sent off so efficiently in two directions: to both reductively generate the building blocks of life from carbon dioxide and oxidize water to oxygen? This extraordinarily complex question, to be sure, is closely linked to aspects of both physics (but cannot be completely reduced to physics) and biology; but the answer clearly lies in the realm of chemistry. And the workings of each individual component, as well as the entire integrated system that nature has constructed, pose questions that are fully as deep and inspirational as those in any other field of science. Moreover, on the practical side, the answers will be needed to devise methods for making comparably effective use of solar power, which at present appears to be the only resource of sufficient magnitude to cope with the world’s long-term energy needs." Photosynthesis is indeed a hard, rewarding unsolved problem but I am disappointed that the authors did not instead pick the origin of life as the one shining chemical puzzle of all time. If you really had to pick one problem that's as important as the truly big problems in cosmology or biology, you would pick the origin of life. It is of enduring value to working chemists and it is easier to pitch to the public as a profound philosophical conundrum compared to photosynthesis. And the origin of life has the additional advantage that unlike photosynthesis, it probably cannot be solved even in principle, adding to the mystery and the everlasting allure. Any ideas for the best possible introduction to photosynthesis for an organic chemist/molecular biologist/mildly competent in physics including quantum mechanics would be. I've always ben fascinated by it, but never had the time to go into any detail, as it is irrelevant to the workings of animal organisms (aside from permitting their very existence). From what little I've seen of the apparatus, it seems incredibly complicated, elegant etc. etc. Is there evidence from more primitive organisms (than flowering plants) that there are simpler forms of the photosynthetic apparatus? Natural selection can easily explain how entities we would view as alive come about, once chemists or others have identified molecules that are simple enough to form spontaneously but complex enough to be subject to it. Such molecules would need to be able to replicate, and to vary in ways that are (i) heritable and (ii) affect their replication efficiency. A great primer on photosynthetic energy transfer is Bob Blankenship's book, Molecular mechanisms of photosynthesis.